The building of the post office brought about the naming and the official start of the Brown Mine Coal township in 1917. 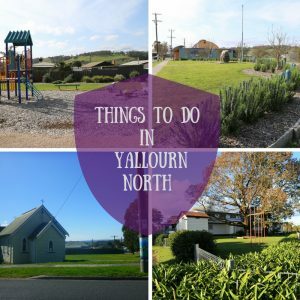 After World War II it was renamed Yallourn North. The official start of the Brown Coal Mine township would probably come as a bit of surprise to the original settler. Who owned 135 acres bordering the Morwell Shire with Anderson Creek flowing through. His name was Andors Anderson and he settled here around 1884. He dug into a hillside and compacted the dirt into a floor, putting up a front he created a dwelling. For a time only he only lived here from Friday to Sunday, as he worked in Traralgon. He walked the 18 miles to Traralgon and stayed there from Monday to Thursday. Skilled with a whittle and willow, he made sporting equipment, like cricket bats. He planted the willows as they’re not a native species of tree to the Brown Coal Mine area. Brown Coal or lignite coal was discovered after a land-slip on the side of Latrobe River banks, near Tom’s bridge, around 1879. Further investigation of mine shafts dug revealed more coal. Brown gold, coal. Henry Godridge, who discovered it, didn’t have enough capital to mine it himself. He spent the next ten years looking for investors, he found some in the Morwell Coal Mining company. The Brown Coal Mine was known as ‘The Hill’ during the time and is still sometimes still referred to as the ‘The Hill’. This venture wasn’t profitable and became difficult and they started looking for new investors. The Brown Coal Mine experienced a boom, as rumours surfaced that the State Government was taking over. People flocked to the town. There was 3 grocers, 2 butchers, 3 boarding houses and other shops cropping up on Main St.
One of the buildings was built without nails as they were in short supply after the first world war. There was even a two-story houses made from tin. Most people assume the entire community of Brown Coal Mine and surrounds worked for the SEC. The Meers men didn’t. (Only men could work at the SEC.) Harry Meers built a grocery store, that was the go-to shop. His wife, Fanny ran a boarding house, later when Ada, his daughter was looking for work he bought her a restaurant to manage. His sons, worked in different jobs and moved away, one worked in the dairy industry. another worked in the government Foundry at Footscray and the other a foreman on the NSW railways. The Meers moved to the Brown Coal Mine in 1916 and are also considered a founding family. The SEC started building power plants in 1922. The Brown Coal Mine attracted people who didn’t want their employer and landlord as the same entity, or who wanted to own their own homes. As the Brown Coal Mine grew people lived in boarding houses, until they saved up enough to buy or build a simple dwelling. As their needs changed or income freed up they’d build again. 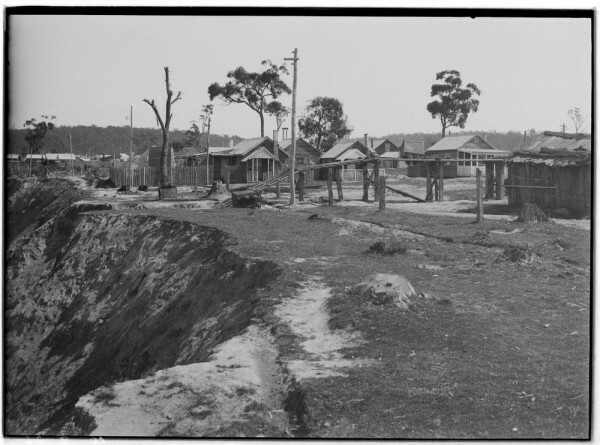 In 1950 the town changed irrevocably, the mine destabilised and Main Street being right on the edge of the mine. The Bakery split and other shops fittings pulled from the walls, 9 families were relocated. There are still discrepancies in how many or how much fell into the mine. Luckily, no lives were lost. The baker’s apprentice wasn’t so sure she’d survive for some time as she held onto the edge of new mine. This drove change, the shops relocated to where they are today on Reserve Street. While they rebuilt the shops, they also took down all the shanties and built houses in the 1950’s style. A lot of history was lost in the process. 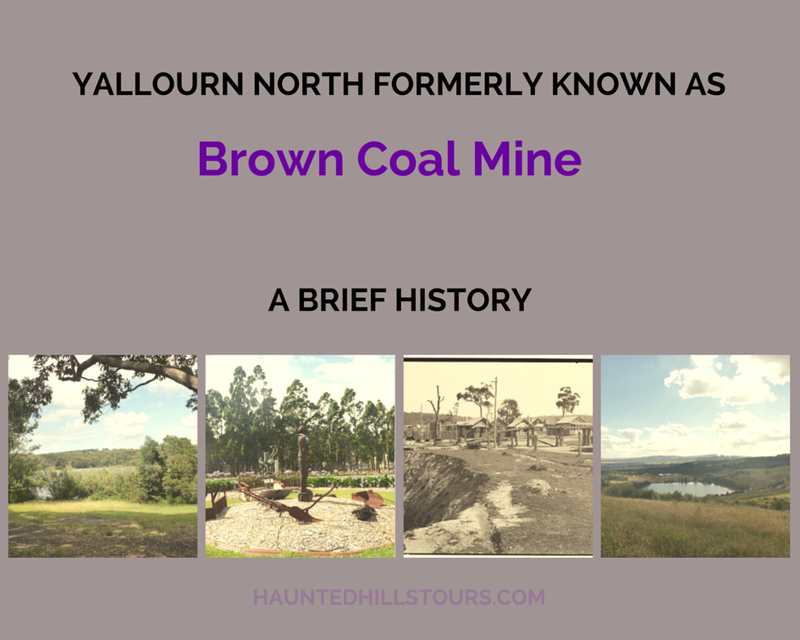 Interested in more Yallourn North history? 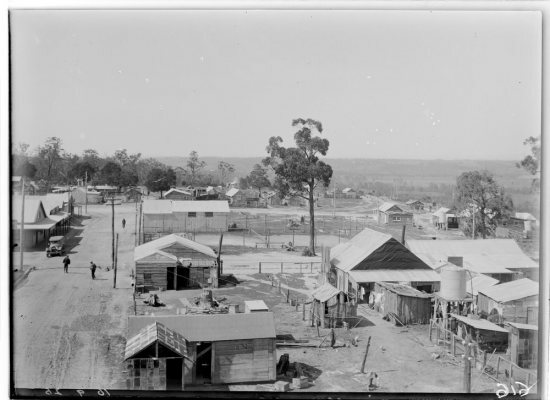 Joins us for a People of Yallourn North History where you’ll hear more about the people behind this town on the hill. We recommend you visit the Old Brown Coal Mine Museum on Sunday or Monday when they’re open. 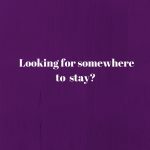 If you like what you're reading enter your email address to subscribe to this blog and receive notifications of new posts by email. Absolutely brilliant night out. Tegan, thank-you for your engaging and knowledgeable hospitality. I would highly recommend for groups of friends and families, with teenagers especially. 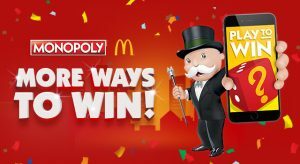 Great value and 10 times more entertaining than a night out at the movies. Beautiful walk around the town too. Tegan Dawson has recently begun exploring varying stories of crime, from general thievery to bizarre acts of ghoulish behaviour. I loved it, Has to be the best Ghost tour I’ve ever been on so far and learned so much. Thank you. I look forward to the Yallourn North tours. Thoroughly enjoyed hearing about our towns ghostly past. Last night was amazing and what a perfect night for a ghost tour. The wind and the atmosphere created the spooky backdrop for the ghostly tales from Teagan. Thoroughly enjoyed hearing about our towns ghostly past. Thanks again Teagan. Good interesting tours with delightful stories. Any future tours for other towns such as Sale? Old Prison tours? Tours to old mental asylums in Gippsland? 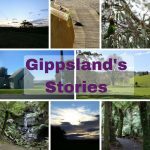 Graveyard and mausoleum tours in Gippsland? 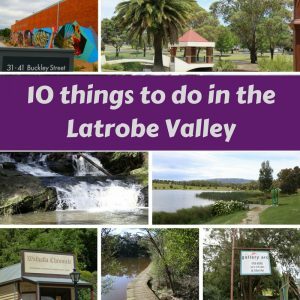 So far I’ve done the Traralgon Ghost tour, Yallourn north Ghost and crime tours and Rosedale Ghost and crime tours. Each one so far has been excellent and I’m still yet to do the history tours and I’m sure they’ll be just as good. I learned so much on all of them. Discover our forgotten past, book a tour today! Subscribe to the HHT Newsletter!